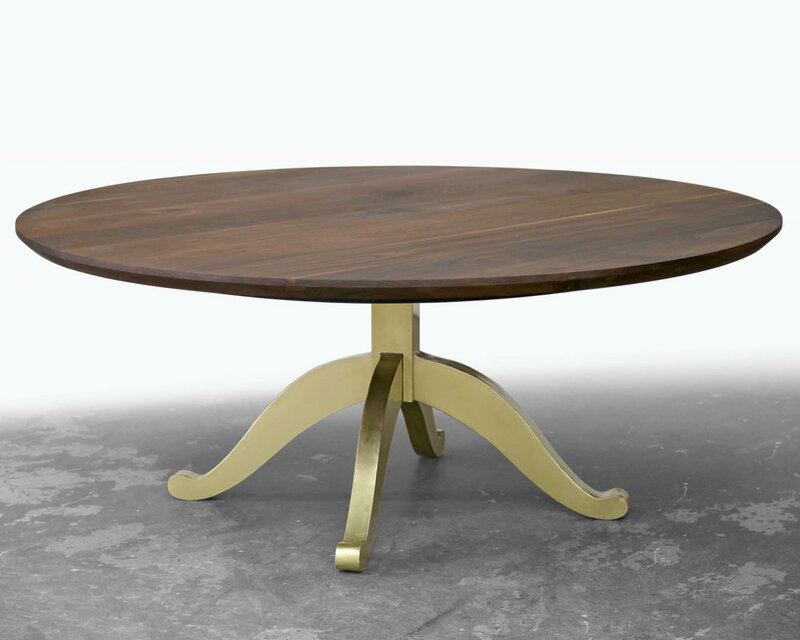 Large round pedestal table shown in American Black Walnut with a brass wishbone pedestal base. 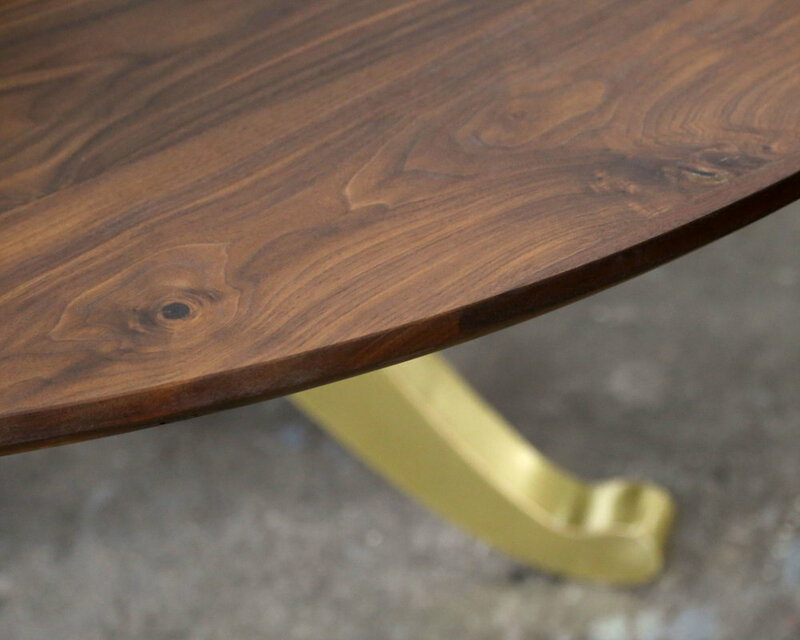 An elegantly massive statement table. 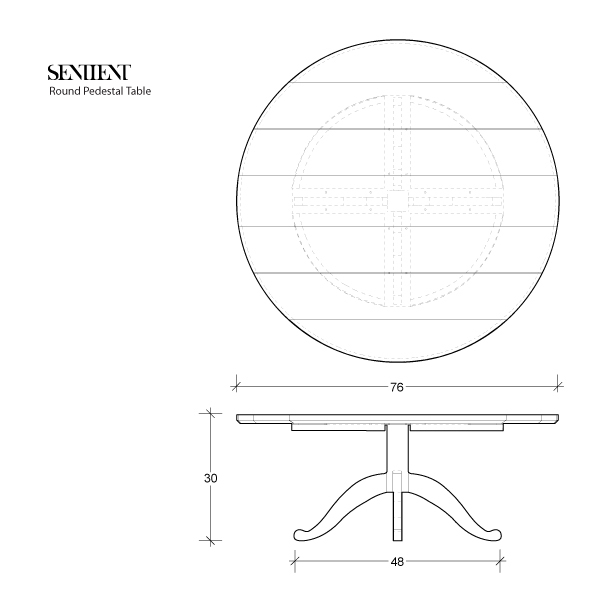 Each table is made to order in our Brooklyn workshop. Custom sizes and bespoke options available.